Do you have your ticket to Florida Literacy Awards Banquet yet? 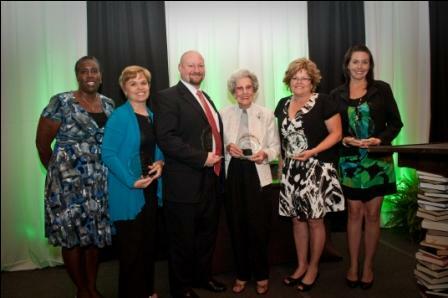 The Florida Literacy Awards Banquet is on Thursday, May 9 from 6:30-8:30. The banquet is a time to relax with peers as we highlight the many accomplishments in literacy over the past year. Awards will are given to adult learners, literacy practitioners, literacy programs, volunteers, and business partners. The awards that will be given include: the Mary J. Brogan Leadership Award, Flight for Freedom Award, Outstanding Literacy Volunteer Award, Excellence in Education Award, and Outstanding Business Partner Award. Author Angela Lane will be the keynote speaker for this inspiring night. It’s not too late to reserve your spot! For more information or to register for the event, please contact Amanda Terrell (intern@floridaliteracy.org). Registration is now open for the 2013 Conference! Until March 8th, you can register for the reduced rate of $235! If you are an FLC member, you can get a greater discount by paying just $210 for the conference! If you are not a member yet, you can sign up to be a member right on the conference registration form. Registration is easy! Just follow this link to registration, and it will take right to the registration form. You can pay online through PayPal (no PayPal account needed!) or you can send us a check or PO. Do you have more questions about the conference? Go to the Conference webpage! What a great conference it has been! FLC blog readers, I hope you’ve enjoyed the Florida Literacy Conference as much as I have! What a great time it’s been at the South Seas Island Resort! Is there anywhere else (in Florida) that’s more beautiful? The palm trees, the beaches, the flowers…they were all amazing! But I think what was even more amazing were the terrific conference participants who were here! I can only speak for myself, but my sessions were well attended and had energetic, enthusiastic people who were genuinely interested in the topics: technology, writing and math! Thank you for your participation and kind words. I hope that no matter what sessions you attended, that they met (or exceeded) your expectations! South Seas Island Resort Awaits You! South Seas Island Resort is excited to be hosting the Florida Literacy Coalition‘s 2010 Florida Literacy Conference! 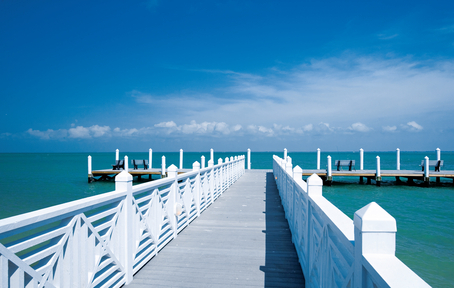 Captiva’s history and South Seas’ role in that history is a balance of fact and folklore. Legend has it that the barrier island is a haven for infamous pirates. “The Buccaneer Coast” attracted the notorious Jose Gaspar to the region in the early 1800’s where it was rumored that he buried his stolen treasure on Sanibel and used the adjacent island to imprison the many women captured in battle. 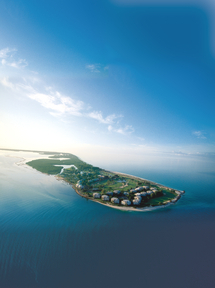 Thus the name: “Isle de los Captivas” or Captiva Island. South Seas has a storied hospitality past beginning in the late 1800’s as a key lime plantation. The village we know today was created in the early 1970’s when a development duo bought the plantation. They were devoted to preserving the natural aura of the island while implementing resort-style amenities for buyers and vacationing guests. With the addition of the conference space and the hotel, it wasn’t long before South Seas became one of the world’s most desired retreats and meeting destinations. While you are here, make sure to visit our world famous beaches covered in beautiful shells. Also make sure to stop by the Main Pool Complex on the North End overlooking beautiful Pine Island Sound! Scoops & Slices is heaven with delicious ice cream, pizza and a wall of candy! The weather is going to be beautiful and we have some amazing events and meetings planned for your stay. For a handy map identifying event locations for the Florida Literacy Conference at the resort click here (you’ll also receive this at check-in).